Can probiotics help fight psoriasis, eczema, rosacea, and wrinkles? Chances are you've heard by now that probiotics can help your digestion. But did you know that they can help your skin as well? 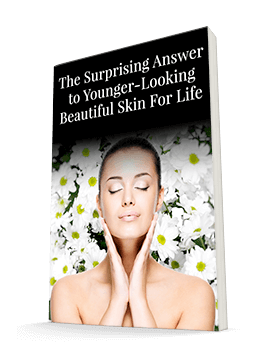 New studies and anecdotal evidence are suggesting that introducing these "good" bacteria to your skin and to your digestive tract can relieve or even prevent several common skin woes. The main benefit of probiotics is their ability to prevent or reduce inflammation, which causes several different skin conditions. Reducing inflammation throughout the body holds promise for reducing it on the skin's surface as well. And some companies are even developing topical probiotics, which may help improve the skin's appearance more efficiently. Acne sufferers may find some relief with probiotics, according to small studies conducted in Italy, Russia, and Korea. Plus, since many acne treatment regimens involve antibiotics, probiotics can make those treatments easier on the digestive system. Strains that show the most promise include Lactobacillus, L. acidophilus, and B. bifudum. 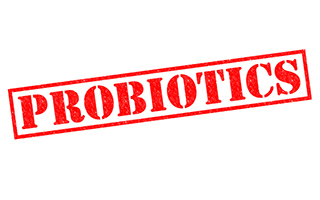 And it's possible that applying probiotics directly to the skin can help prevent harmful bacteria from doing damage. Other research has focused on eczema, particularly in pregnant women. One Finnish study gave supplements containing Lactobacillus rhamnosus GG to pregnant women for two to four weeks before they delivered. If the women were breast-feeding, they continued taking the supplement; otherwise, it was added to the infants' formula for at least six months. The babies who had a family history of eczema showed a reduced likelihood of developing it themselves for at least two years. Another study found that babies who suffer from eczema have less diverse gut bacteria at seven days old than those who don't suffer from the condition. This suggests that there may indeed be a link between a healthy collection of bacteria and eczema relief. If you suffer from rosacea, probiotics may help as well. When used along with medication, they seem to strengthen the skin barrier and reduce redness. They can also help alleviate the stinging, burning, and dryness commonly associated with rosacea. If you don't have any of these specific skin issues but still want to minimize the effects of aging on your skin, probiotics hold promise for you too. While more research is needed, probiotics may help the skin build collagen, which is lost as we age and affects your skin's texture and tone. Probiotics may also keep your skin hydrated, protected from sun damage, and less susceptible to fine lines and wrinkles. If you'd like to give probiotics a try, there are several ways to incorporate them into your routine. You can take a supplement like Advanced Probiotic Formula. Or you can try dietary sources like yogurt, kefir, or other fermented foods. Just make sure they contain live, active cultures. And some people report improved skin appearance from using Greek yogurt as a mask. If you'd like to try this, simply apply it directly to your skin once a week for 10 minutes. You may be very pleased with the results!